Do you think that smartphones brought about a revolution in our combined lives? There is hardly a person who would think otherwise. These tiny devices, capable enough to handle large amounts of data and portable enough to carry anywhere, changed the very dynamics of human interaction. However, what if I told you that smartphones will become obsolete in the near future? Hard to believe, right? There’s a technology maturing by the day which is going to fundamentally alter the technology world and more so, humanity itself. It is none other than Augmented Reality (AR). Don’t believe me? So, what is this Augmented Reality? Don’t worry, it is not just a nemesis of your smartphone, but a next step in its evolution. Microsoft has come up with HoloLens, and Apple is already working on its own wearables, believed to ultimately replace the phones. Facebook’s Mark Zuckerberg recently announced Facebook’s very own platform based on AR. Let me explain what Augmented Reality really is. Remember the Pokémon Go craze? It became the biggest mobile game ever in the U.S. It went so big that CNN wrote, “Pokémon Go consumes everything, even politics.” People spent days and nights in search of Pokémons with their mobile phone cameras while wandering around the real world (many of them later complaining of sore legs). That is exactly what Augmented Reality is all about. Chances are that by now you’re acquainted with Snapchat. The app uses digital filters on top of your face or surroundings to make it more entertaining. People responded so favorably to this app when it was released that Facebook bid $3 billion to buy it out. When Snapchat refused, Facebook started imitating its features. IDC estimates the market for AR technologies will explode from about $5.2 billion in 2015 to $162 billion in 2020. This is the strong response that AR is receiving from the public – so much so that the tech giants are finding no choice but to adopt the technology and shift their companies’ future trajectories. But let me tell you that no other sector is more excited to adopt AR than retail is. 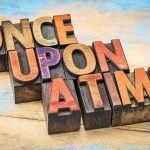 The retail sector finally has its hands on something that can essentially change not only the buyer’s journey but can disrupt the retail sector altogether. Today, many retailers are leveraging AR to bring the digital experience to physical, in-store products as well as to stimulate online engagement to drive sales and increase customer satisfaction. But the potential of AR goes beyond all of this. In fact, many retailers around the world are already revolutionizing the way that buyers shop. So, let’s jump into some of these phenomenal changes that AR is expected to bring to the retail landscape. Yes, I know it sounds like a joke but invisible retail stores already exist. China’s largest online grocer, Yihaodian, has set up 1,000 stores in parking lots, parks and popular public places. How does it work? As soon as pedestrians open up the retailer’s app, they can visualize a complete grocery store with multiple aisles. As they pass through the aisles, they can pick and add products to their carts and as soon as they’re done, the products get delivered to their homes. Could you have imagined invisible stores a few years back? Without a doubt, AR is pushing the limits of reality. Agree? Another way AR technology has altered the competitive landscape is the breadth of space that it has provided to small retailers. How many times have you been to a clothing retailer and left that “nice” shirt which you would have bought – but in a different color? 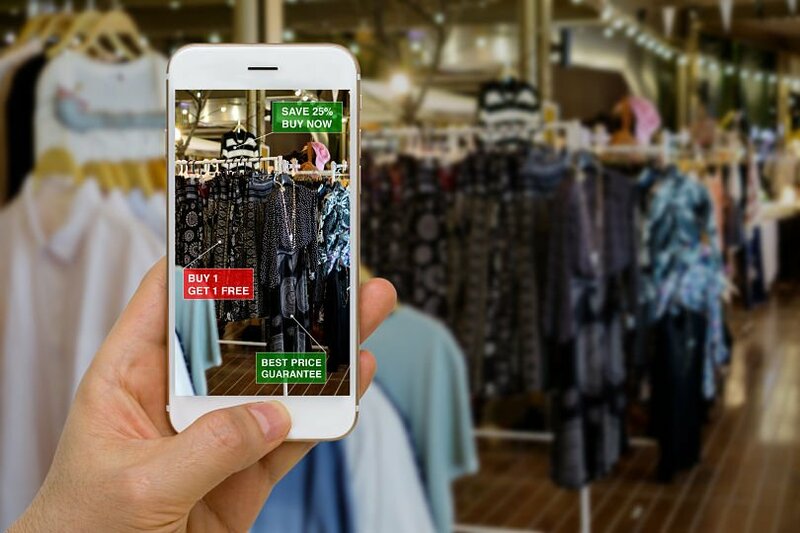 Retailers are now leveraging the AR technology to their advantage by providing limitless options to the consumer, without the space limitations of a brick-and-mortar store. So if a shopper points the retailer’s app to a certain shirt, the app will display the shirt changing colors. Next step? The shoppers can instantly buy or order it online in the color he/she wants. By utilizing AR, consumers will be able to swipe their way to unlimited options. Even the smallest retailer now has unlimited space. This not only enriches the customer experience but also provides a level playing field to retailers regardless of their size. BMW leads the game with its virtual showrooms. Partnering with Google and Accenture, BMW has released an app that displays its sports cars (including i3 and i8) on smartphone screens. Car shoppers can walk around these luxury cars in their own garage or driveways. They can even choose the color of these vehicles, and try on the trim levels and wheel choices on this superimposed car in their driveway. BMW is planning on adding more models to this app soon. Any retailer can show unlimited products to the consumer in a virtual space. 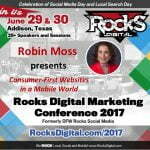 Many retailers are using AR to showcase virtual products. And in the process, they are eliminating their inventory costs. 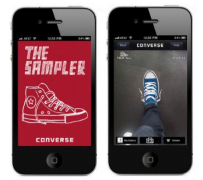 Converse recently came up with their Sampler App. With this app, users can visualize how a certain model from the Converse catalog will look on their feet. All this is fueled by AR technology. IKEA did the same thing for home improvement with their app. So, not only does AR help in giving that final nudge to the consumer to “check out” with their carts, it also increases profit margins by enhancing the shopper’s experience with a brand. More engagement on the sales floor has been made possible by AR-fueled strategies. Brands are increasingly printing markers or images on the packaging of the product. Scanning these markers from the app, the consumers are able to see the product inside the box. This is not all! Retailers have been able to create virtual products, create an omni-channel experience for shoppers, enhance mobile commerce, succeed in digital marketing, reduce inventory costs, revolutionize their supply chains and much more with this latest awe-inspiring technology. In the retail sector, we all know that trends come and go quickly. However, it is clear today that the way products are being sold is going to evolve rapidly. AR can be perceived as a paradigm shift in this regard. And gauging from the pace with which the technology is becoming mature, the paradigm shift won’t take long. One thing remains pertinent, the clear winners in retail would be the early adopters of AR. After all, there was a time when retailers ignored Facebook presence. I hope they don’t make the same mistake with AR. How much do you think Augmented Reality will change the future of retail? Share your thoughts in the comments below. Salman Ahmad is the manager of digital marketing and sales at Rolustech. He is interested in innovative digital technologies in retail and follows disruptive trends. He loves horses and hopes to retire and spend his free time at the stables.